Gordon Ramsay’s York and Albany Restaurant. This lunch was a birthday gift. And a delicious one, what a beautiful meal from start to finish. 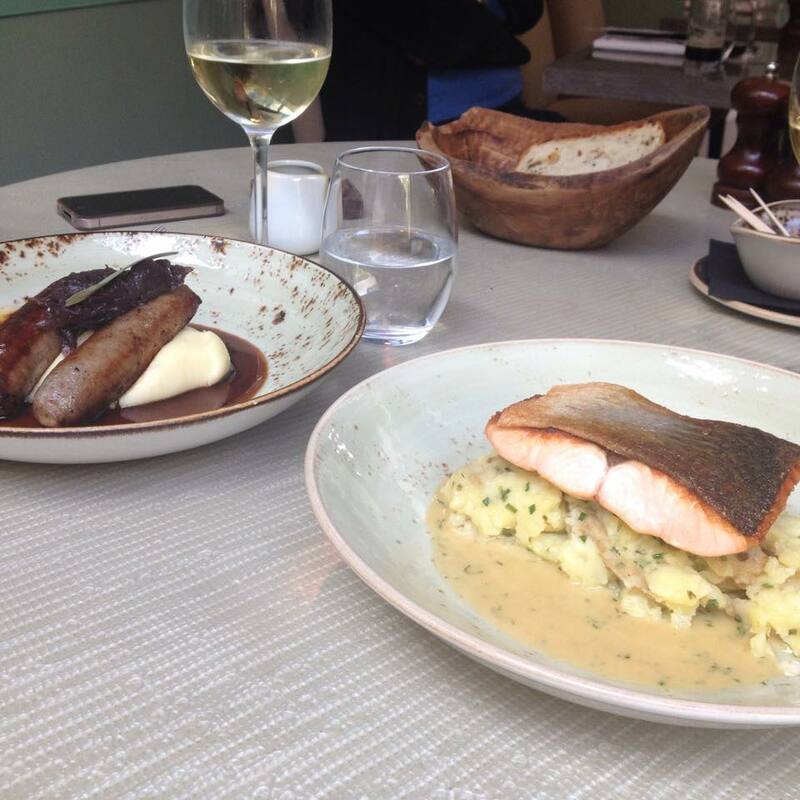 Pan-fried salmon fillet, Jersey royals, dill sauce. Last week, I cooked it at home and took it to work. Scrub the potatoes under running water. Half them and add them to a pan on medium heat with boiling water. Let it cook for 15 minutes or until you can run a knife throught it. Place the salmon on a large dish with the chopped garlics, salt, pepper and squeeze half the lemon. Place a grilling pan on medium heat for 2 minutes and add the salmon, skin down. The pan should be hot to give the salmon a crispy skin. Let it cook for 5 minutes or until the bottom of the salmon seems cook and turn the fillets over. Let it cook for another 5-7 minutes. Remove the potatoes from the heat and drain the water. In a bowl add 2 table spoons of natural yogurt, lemon, salt, pepper, the chopped spring onion and dill. Mix it together and pour it over the potatoes. 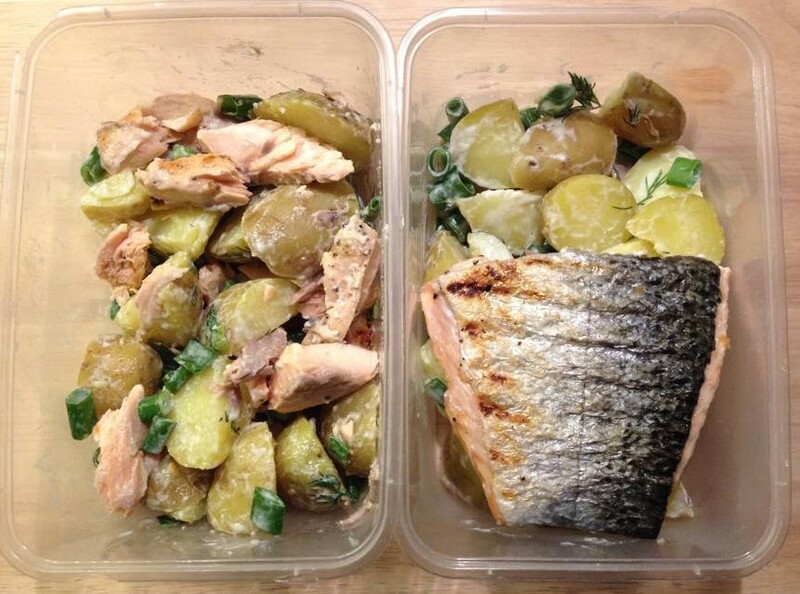 Remove the salmon from the heat and serve it with a squeeze of lemon on top and extra dill. Please share your photos with the hashtag #honestonion.